Concerned that voters will not have a choice for City Clerk in the upcoming February 26th election, William Dock Walls has officially registered with the Chicago Board of Elections as a write-in candidate for that office. The incumbent City Clerk successfully challenged the Nomination Papers of her two opponents and knocked them off the ballot. Therefore, there is no challenger in this race. The only person remaining on the ballot is Rahm Emanuel appointee Anna Valencia. Since her appointment to fill the unexpired term of Susana Mendoza, Anna Valencia has championed the CityKey Municipal ID which provides documentation for illegal immigrants. Valencia’s office allows anyone to receive this official government ID with very minimal proof of identity and no background check. A person can offer a Ventra card or library card as proof of identity. To protect illegal aliens from the Federal government, Valencia’s office does not keep a copy of any of the documents they submit. Valencia has failed to adequately address the unfairness of fines and fees from parking tickets, red light cameras, speed zone cameras. These fines and fees have resulted in the booting and towing of cars and the suspension of the Driver’s Licenses of Blacks and other working poor residents. 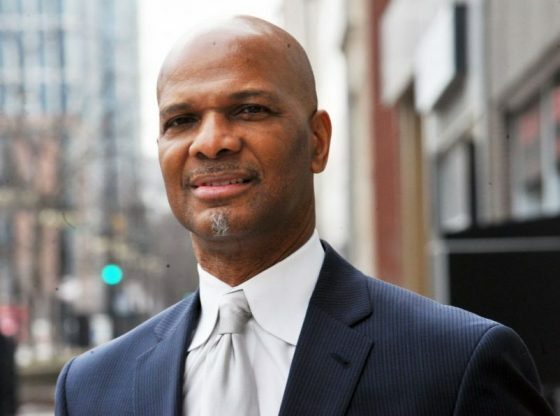 William Dock Walls strongly believes there needs to be major discussion concerning the issues facing Chicagoans, especially those which negatively impact poor people. The former top aide to Mayor Harold will run an aggressive campaign to bring awareness to those issues. Chicago City Clerk is the second highest office in Chicago Municipal Government. The City Clerk can strongly advocate for the people of Chicago and hold the Mayor, Aldermen and other elected officials accountable. Implementing and administering the Municipal ID program. During Early Voting and on Election Day, February 26, 2019, William “Dock” Walls is asking voters to not vote for Anna Valencia, but to instead write in his name.